to cure a person in love. all evidence of truth come only from the senses. that it deters us from striving to possess it. They make the highs higher and the lows more frequent. 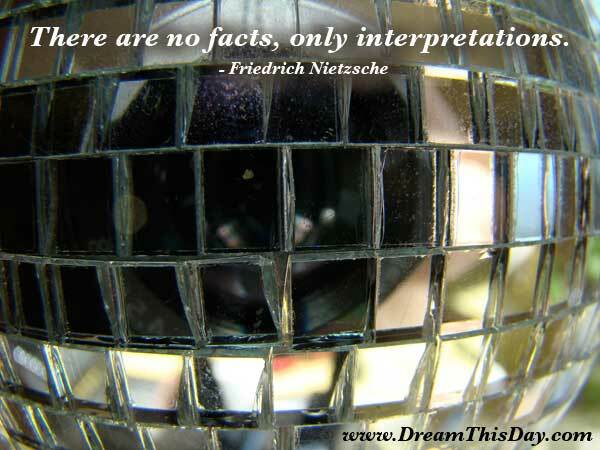 interpretation prevails at a given time is a function of power and not truth. a bad apple, is annoyed when it turns out in the end that he isn't. but for this to endure, it must be assisted by a little physical antipathy. not danced at least once. accompanied by at least one laugh. also the spirit of his friends. writings are the only ones that modern men still read with exactness. you must not want to see everything. is that not doubly a lie? to determine the true hierarchy of values. the guilt nevertheless was non-existent. It is thus with all guilt. Thank you for visiting: There are no facts, only interpretations. ... by Friedrich Nietzsche.